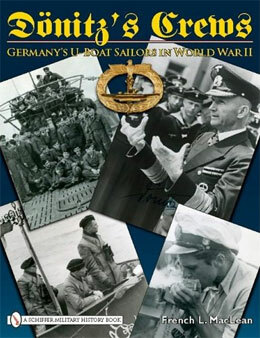 Günther Prien and the crew of the U-47. 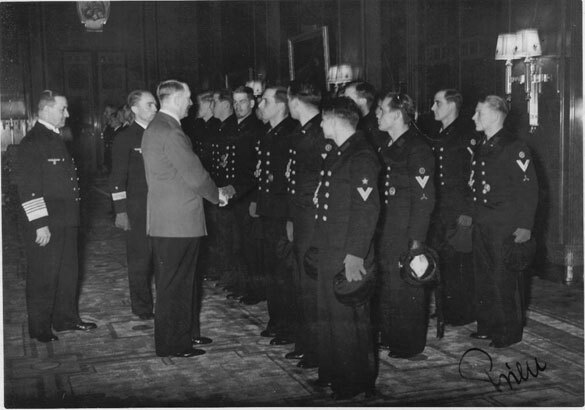 After the U-47 sank the HMS Royal Oak at Scapa Flow, Adolf Hitler invited the crew to Berlin and personally met then as shown here; on the far left is Grossadmiral Erich Raeder. Prien later autographed the photo (lower right.) Prien sank 162,769 tons of Allied shipping before he perished with all his crew on March 7, 1941, southwest of the Faroe Islands.